Born in South Africa, Steve Bloom is an award-winning writer and a photographic artist who specializes in evocative images of the living world. His concern for the environment is strongly evident in his wildlife images. He strives to capture the animal's spirit, and blur the lines separating different species. 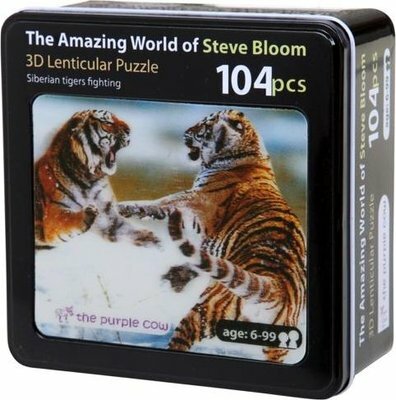 His breathtaking images come to life in these spectacular lenticular jigsaw puzzles, contained in compact tin boxes excellent for storage.